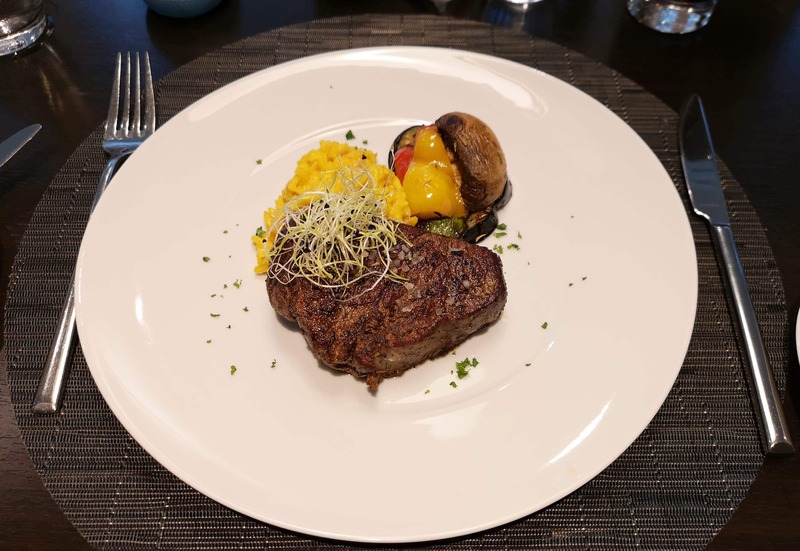 6 things I got WRONG about river cruising! 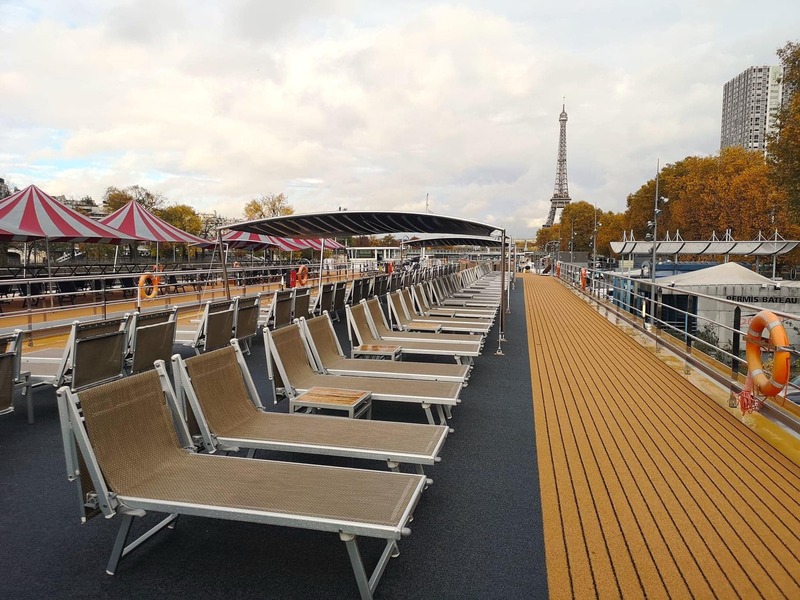 Last weekend I was lucky enough to attend a river cruise conference hosted by CLIA in Paris. We had the opportunity to visit six river ships and I was able to spend the night on board the Avalon Tapestry 2. Before this weekend I had never set foot on board a river cruise ship. 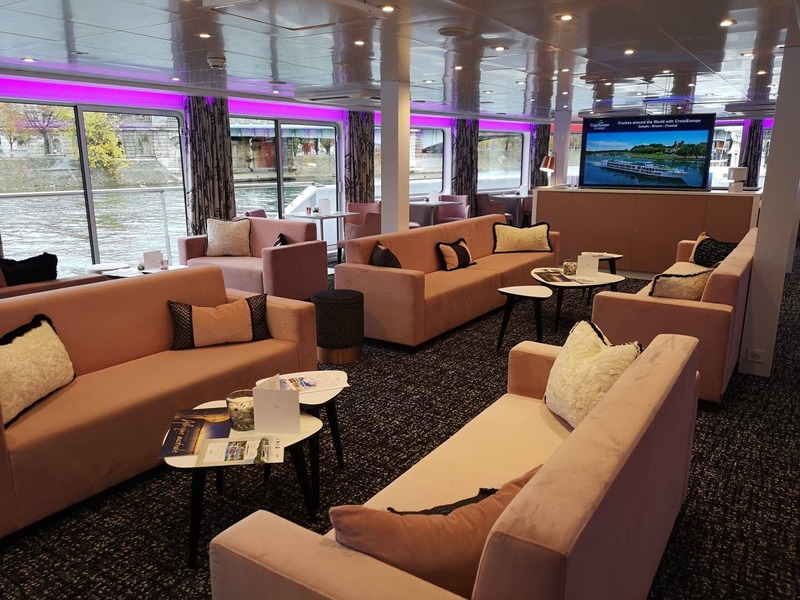 I admit it, I was wrong about river cruising! The growth of the river cruising sector is really exciting, passenger numbers were up 21% last year on the year before. I can’t think of any other industry that is growing so fast, it’s very exciting. 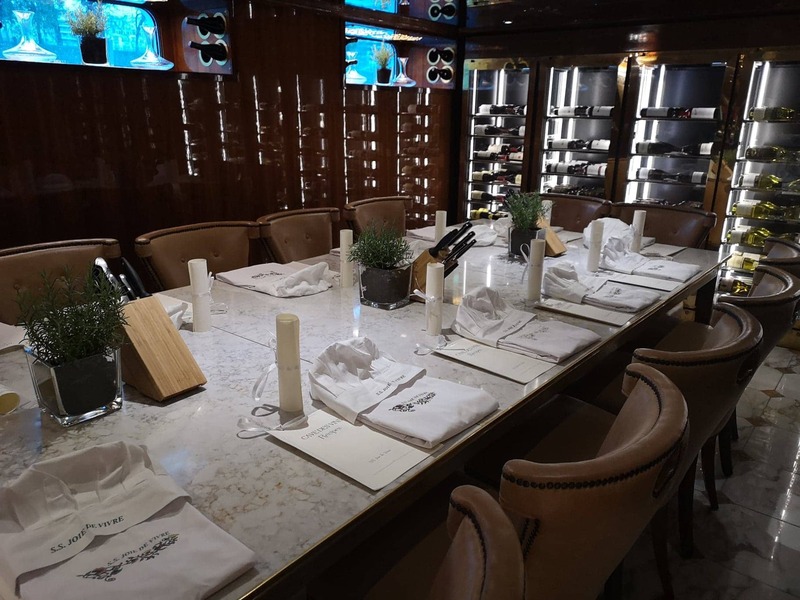 During this post I compare the ships and experience to that of an ocean cruise, they are very different products but ocean cruising is what I know best and I hope it’ll help you to visualise the experience. As always, if you have a question please leave a comment or join us in our Facebook group. 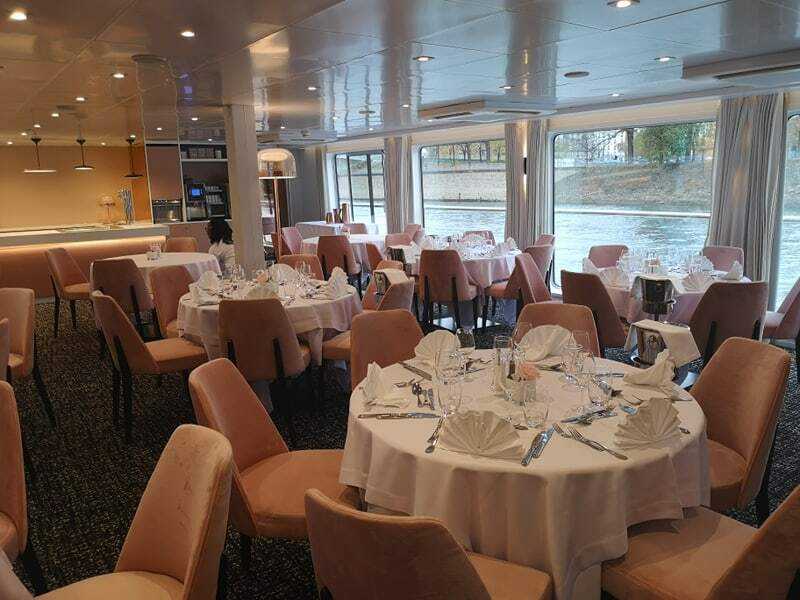 1 – River cruise ships are dark, enclosed and just not as elegant as ocean ships. Yes, I believed this before this weekend, I feel like a complete fool now! All of the ships I visited were incredibly elegant, in some cases more so than ocean ships. The attention to detail on all of the ships that I visited was amazing. Each one was full of interesting art pieces and all were decorated to a really high standard. The river ships we visited were no less elegant than ocean ships, they were just elegant on a smaller scale! The thing that struck me most about the whole experience is the amount of variety offered within the river cruise sector. I genuinely had no idea that there were so many choices in ship design and ambience (price too)! What are river cruise ships like inside? The ships generally have one big lounge, one big dining room, a reception/atrium‘ and a top deck with lots of sun loungers. They’ll often have another lounge at the back and some even have a couple of swimming pools thrown in for good measure. Of course there is a lot of variety on this theme but generally speaking, that is how river ships are designed. 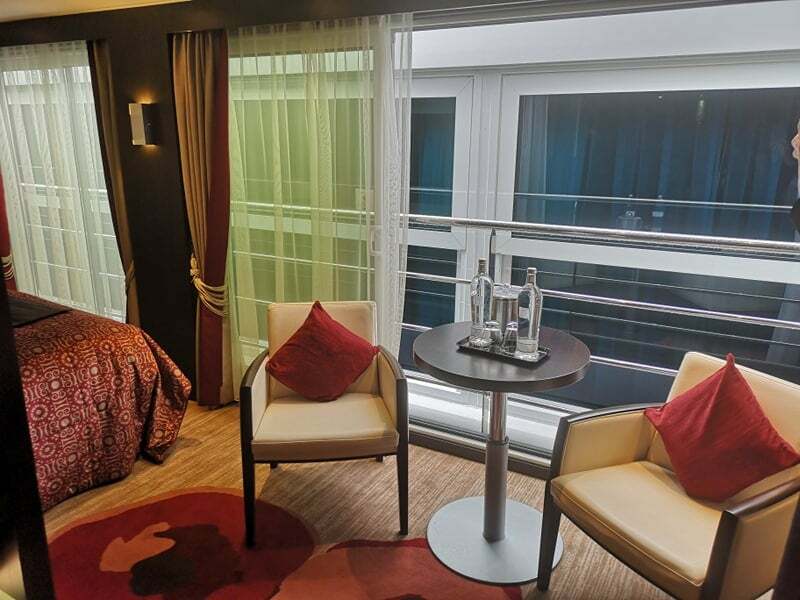 What cabins are there on river cruise ships? The cabins are mostly either window cabins or balcony cabins. 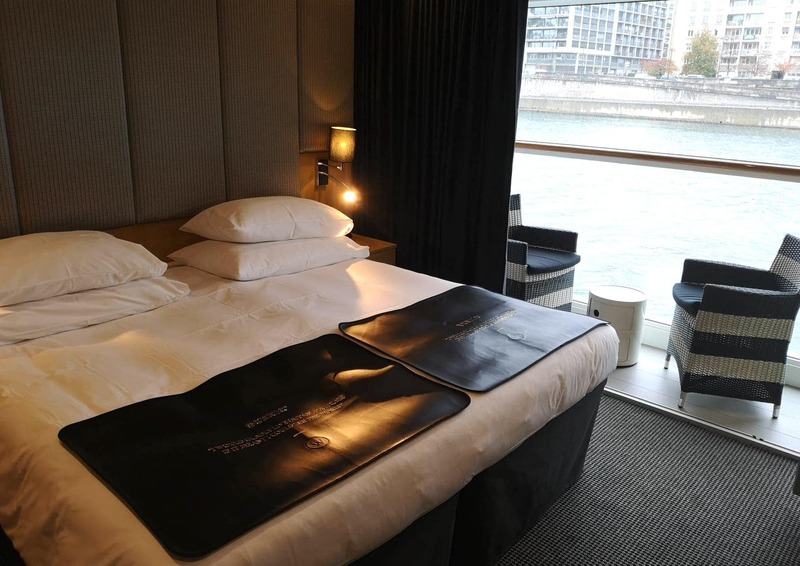 There are also a number of suites with some ships being ‘fully suite’ ships which only have suites and above. 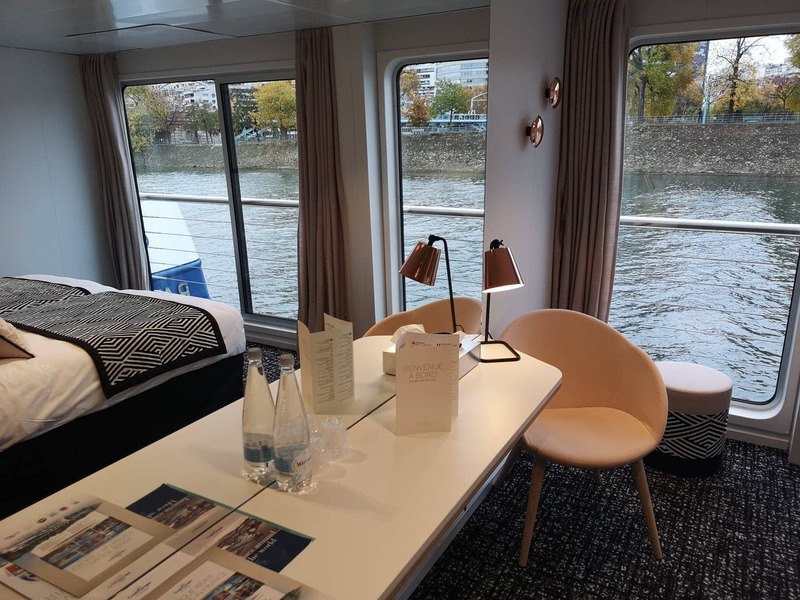 Some river cruise ship even have solo cabins and accessible cabins too! More about the cabins in point number two. 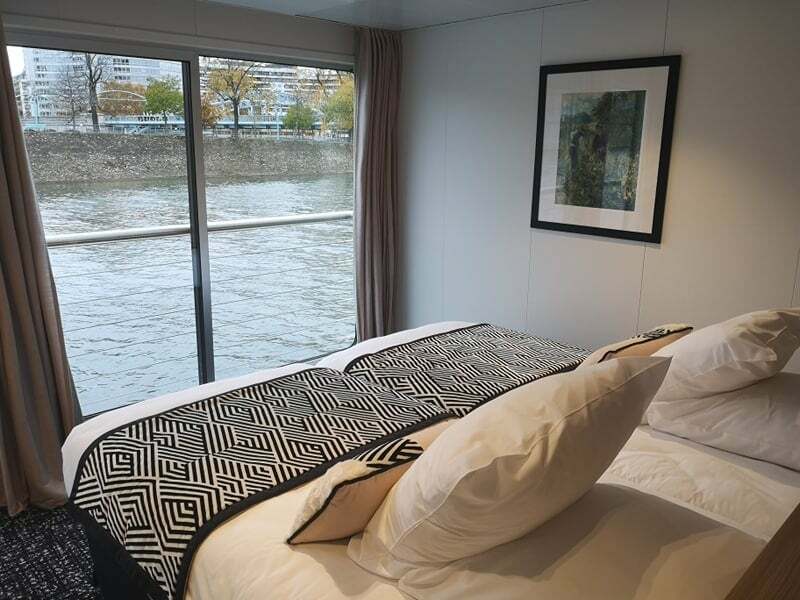 2 – River cruise ship cabins are small. This may be the one that surprised me the most. My balcony cabin on board the tapestry 2 was as big, if not bigger, than most standard balconies I’ve had on ocean cruise lines. This, of course, does vary by cruise line but no more than it varies on ocean cruise ships. Do river cruise ships have balconies? It is worth noting that on the majority of ships there isn’t a balcony in the traditional sense that you would find on an ocean ship. Most balcony cabins will have a big window which either pulls down or to side which makes your cabin into a huge balcony. Some ships do have balcony cabins with actual balconies where you can step outside onto them. These seem to be mostly in suites. One thing I really love about the idea of river cruising is how close you are to the water, I can just imagine sitting with a drink and watching the world go by! 3 – There is no flexibility in river cruising, you do what you’re told when! It is true that there is more structure to river cruising than ocean cruising but there has to be. 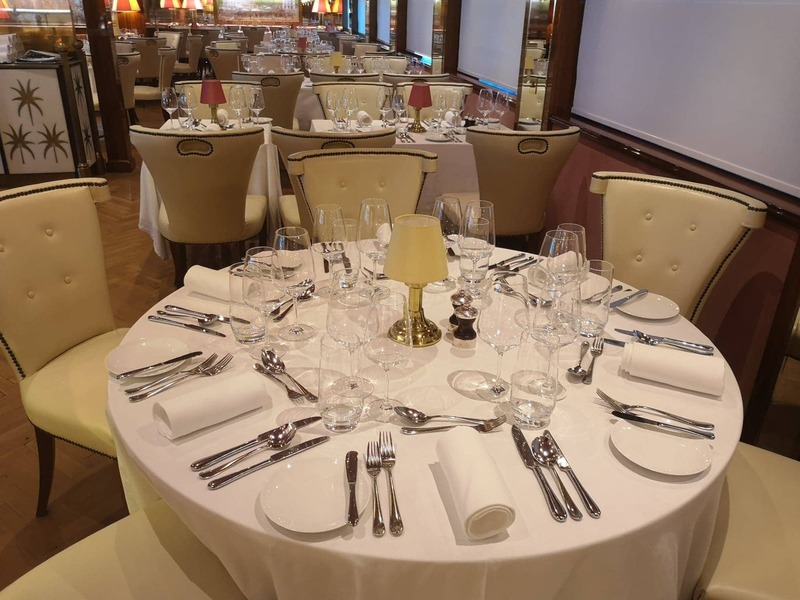 If you only have 100 guests you can’t have a number of different restaurants or freestyle dining in the same way as an ocean ship with 5000 passengers may do. That said, there is a lot more flexibility than I thought there would be. 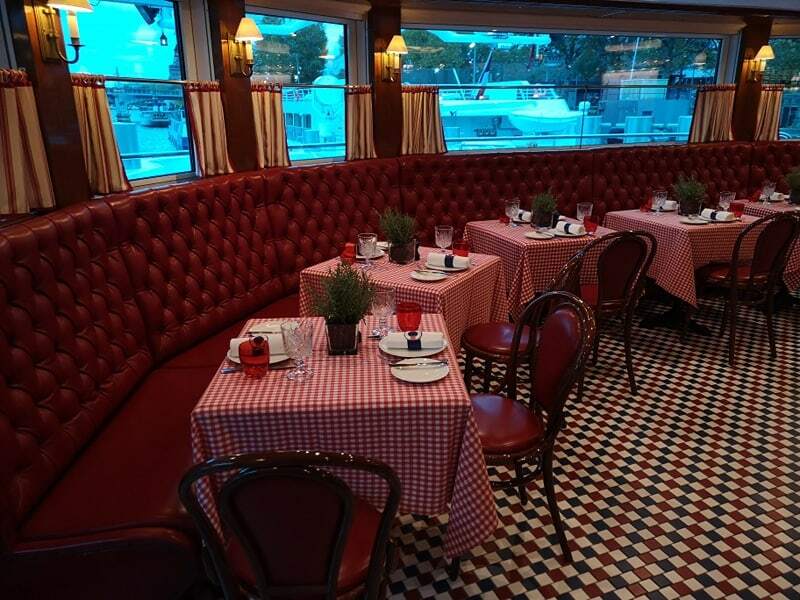 Some ships do have multiple restaurants, seen below is Le Bristot and la cave du vin onboard Uniworld’s Joie De Vivre. How was the food onboard? One thing I was surprised about during my stay on the Tapestry 2 was the quantity of food served on board. The quality and presentation of the food was INCREDIBLE. Each meal was around 5 courses and the staff were incredibly attentive. We had one lunch on board the Tapestry || which was a serve yourself buffet which I didn’t know existed on board river ships! The quality of the food was great and the restaurant had a lovely relaxed atmosphere. The below photos are from one of our sit down lunches onboard. I knew that there was less entertainment on board river cruise ships and I kind of assumed that this meant that they would be boring, I feel ridiculous for having thought that now! Did you know river cruise ships have cruise directors? I didn’t! What I didn’t appreciate until this weekend is that the experience of river cruising is completely different to that of ocean cruising. You simply don’t need the same level of entertainment because you have other things to do. For example, you won’t have 4 sea days on a river ship where you need to be entertained. Even when you are sailing there will be constant scenery which you are SO close to. I tend to think of river ships as being big floating homes. You wouldn’t expect theatre shows or magicians to perform in your home would ya?! What entertainment is there onboard river cruise ships? River cruise ships do have entertainment and will often bring on local acts that play in the evenings as well as having a house singer or band. They don’t have a daily schedule jam-packed with events like ocean cruise but I honestly don’t think its necessary and probably wouldn’t be missed, even by those of us used to ocean cruising. After a busy day exploring a port, a five-course meal and a few drinks most are ready to head to bed. I was amazed by the number of amenities onboard the river cruise ships we visited. It is as though most things present on ocean ships are available on river ships but just on a smaller scale. Do river cruise ship’s have swimming pools? Amazingly yes! It’s kind of hard to believe given the size of some of these ships but yep they have swimming pools. Most will have a swimming pool on the top deck which means you can swim and watch the scenery go by. I bet this is incredible. Some will also have a swimming pool inside. Check out this amazing pool featured on (almost) all the Emerald Waterway ships! It has a retractable roof, a bar and the pool turns into a cinema at night. 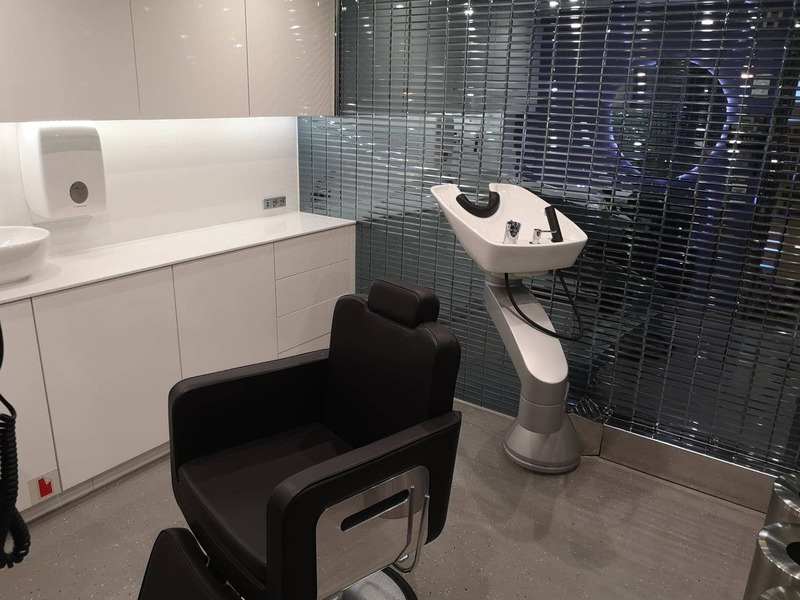 River ships also have places like gyms and hairdressers on board. I assumed, due to the size, that river ships wouldn’t have things like this by they do! Admittedly they are pretty small but definitely adequate for a few people to work out or have their hair done of an evening. It’s important to remember how few people there are on board river ships. Even if the gym is small and only has 4 machines, that is still a lot more machines per person than you’d get on an ocean ship carrying thousands! 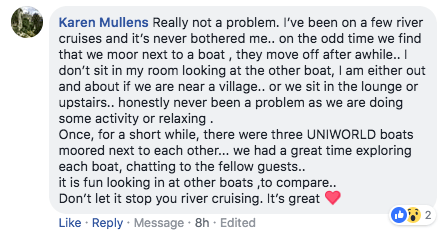 River cruising is generally more expensive than ocean cruising but what I really didn’t understand before this weekend was how much the river cruises include for the price. For example, onboard Avalon river ships your drinks are included with meals as well as excursions and gratuities! Just like ocean lines, there is a lot of variety between the lines in regards to price. It is possible though to get a window cabin for a price which isn’t much more than you’d find on the ocean. 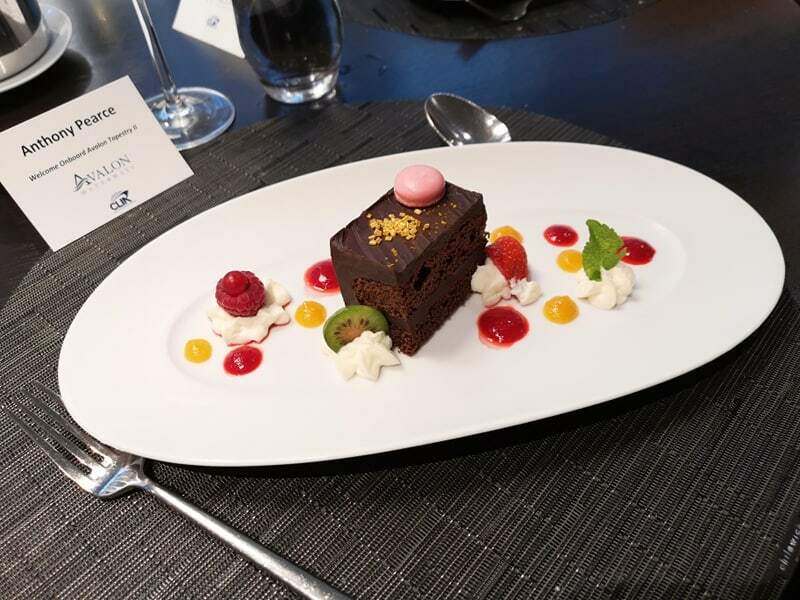 I’d argue that the food and the service received is definitely equivalent to the higher paying areas on an ocean ship, NCL’s Haven or MSC’s Yacht Club for example. River ships are able to dock in the centre of cities meaning that you save money on transfers. 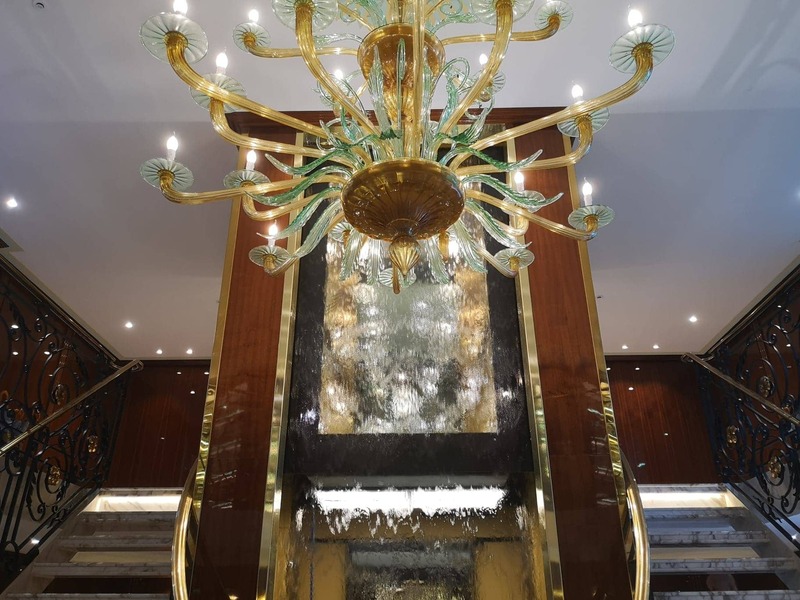 When I took an ocean cruise to Ho Chi Minh City in May the transfer time from the port into the city was 2 hours and the do it yourself tour was $80! River cruise ships sometimes dock next to each other. This had never crossed my mind before! River cruise ships sometimes dock side by side and link together. If this happens you’ll have to walk over or through another ship to get to yours. Sometimes you’ll even have 3 or possibly 4 ships side by side! I suppose it makes sense since sometimes a few ships will want to dock in the same place. One of the best things about river cruising is the fact that the ships dock so close to the heart of the place that you’re visiting. This isn’t really a problem but it means you have to remember to close your curtains before getting changed. My cabin on board the Tapestry 2 lined up almost perfectly with a Uniworld cabin and I ALMOST saw somebody get changed. I saw clothes being thrown into the bed and decided to look away pronto! I asked members of our Facebook group about if they realised that the ships sometimes dock side by side. Karen makes a great point about it being a great way to make friends! Would you like to try a river cruise? Would I like to try a river cruise? Yep! I am actually taking my first river cruise next year. I’ll be announcing the cruise soon on our FB page so make sure you like the page to be kept in the loop. I’ll also be doing a live stream to talk about my first river cruise experience so if you have any questions please pop along to that. I am ridiculously excited to be trying my first river cruise. It is a completely new world for me but definitely one I think I’ll enjoy! Watch this space for updates and please leave me a comment if you have any. If I don’t know the answer I’ll make sure I find it out for you!